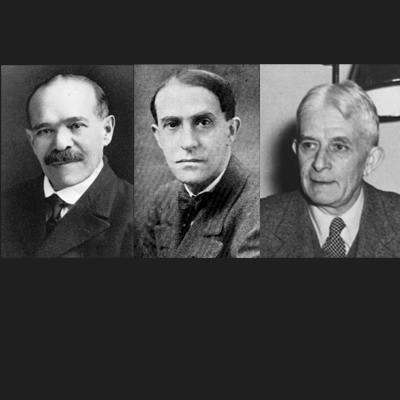 1922 - Max Wertheimer, Kurt Koffka and Wolfgang Köhler introduce Gestalt Psychology. Check the Instructional Design Models and Theories: Gestalt Psychology article and presentation to find more. Max Wertheimer was born in Prague in 1880. After obtaining his Ph.D. in Psychology from the University of Würzburg in 1904, he taught at several universities in Germany. He eventually ended up teaching at the New School for Social Research in New York, where he remained until his death in 1943. He is one of the 3 founders of Gestalt Psychology and was known for his work in Productive Thinking, as well as for his concept of Phi Phenomenon. Wolfgang KöhlerWolfgang Köhler was born in Estonia in 1887 and was an eminent psychologist and phenomenologist. He earned his Ph.D. from the University of Berlin in 1909. He met Wertheimer and Koffka at the University of Frankfurt. In the 1930s he emigrated to the United States and became a professor at Swarthmore College in Pennsylvania until his death in 1967. Kurt Koffka was born in Berlin in 1886. He earned his Ph.D. from the University of Berlin in 1908. In 1927, after emigrating to the US, he became a professor at Smith College in Massachusetts. He had a great interest in the laws that govern the human perception of the environment, as well as in interpretation and developmental psychology. He died in 1941. According to the Gestalt Theory, which is commonly known as the Law of Simplicity, every stimulus is perceived by humans in its “most simple form”. The main focus of the theory is “grouping” and the entire theory emphasizes on the fact that the whole of anything is greater than the sum of its parts. Besides, “gestalt” in German means the “shape of an entity’s complete form”. Thus, the operational principle of the brain is holistic and has a self-organizing inclination. The primary goal of the Gestalt Theory is to encourage the brain to view not just the whole, but also the parts that make up that whole. For example, when someone is looking at a tree, is he just staring at this tree, or does he also see the leaves, the branches, and the trunk? The whole and the sum of its parts are two entirely different things, and learning can be achieved if learners are able to cognitively process how parts can make up this whole. In a learning environment, the Gestalt Theory applies to problem solving and perception. However, it can be used in all aspects of education. A perfect example was provided by Wertheimer himself, when he asked children to find the area of a parallelogram. He suggested that, as long as parallelograms had a normal shape, the children could apply the standard procedure in order to determine the area. However, if the parallelogram had an irregular shape, children could not apply the same logic or principles, but had to solve the problem by understanding the actual structure of the shape. Last but not least, you are more than welcome to embed the Gestalt Theory presentation at your site of blog. If you have a question that needs an answer concerning the Gestalt Theory do not hesitate to leave a comment and I will reply you as soon as possible. Ellis, W.D. (1938). A Source Book of Gestalt Psychology. New York: Harcourt, Brace & World. Wertheimer, M. (1959). Productive Thinking (Enlarged Ed.). New York:Harper & Row.